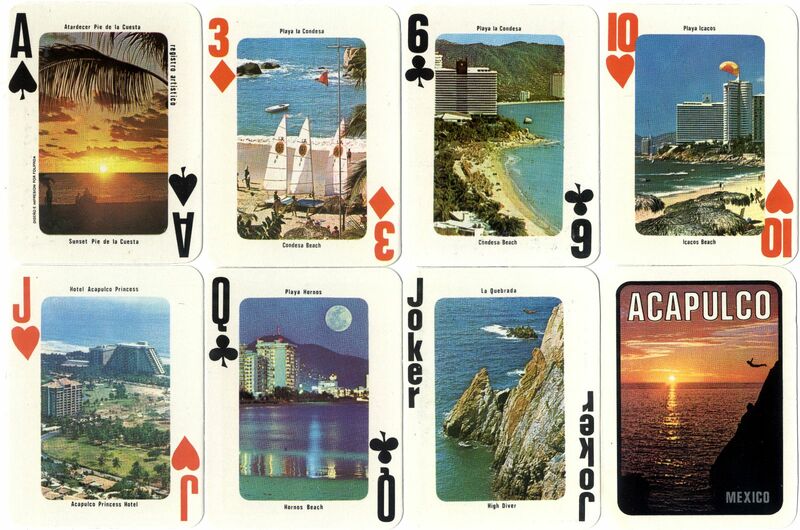 Full colour photographs of beaches and hotels around Acapulco on each card (repeated for each suit) plus 2 Jokers showing a photo of a high diver. 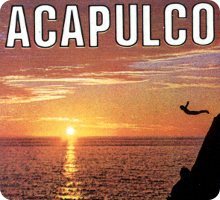 The reverse also shows a high diver at sunrise with the legend ACAPULCO Mexico. The Ace of Spades has the inscription Diseño e Impresion por Foliproa. Above: jumbo index 'Acapulco Souvenir' playing cards designed and printed by Foliproa, Mexico. 52 cards + 2 Jokers.